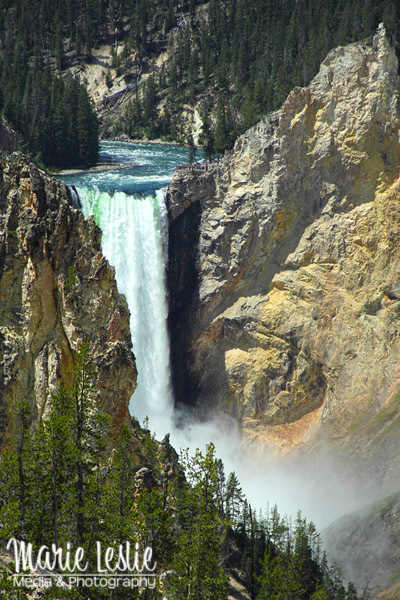 The Grand Canyon of the Yellowstone is one of the highlights of any visit to Yellowstone National Park. Last month, after too many years away (my 12-hour overnight visit to the park a few years ago to retrieve an injured child doesn’t count), I was able to spend several days camping, hiking and photographing both Grand Teton and Yellowstone National Parks. As always, my visit was much too short for all the hikes I wanted to make and all the places I wanted to see. 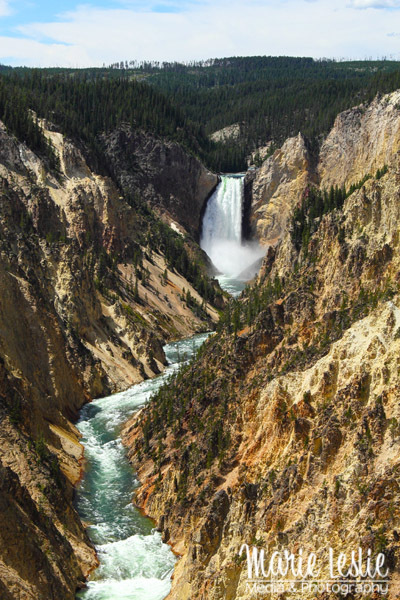 The Grand Canyon of the Yellowstone was near the top of this year’s list. Our first stop was the brink of the Lower Falls. 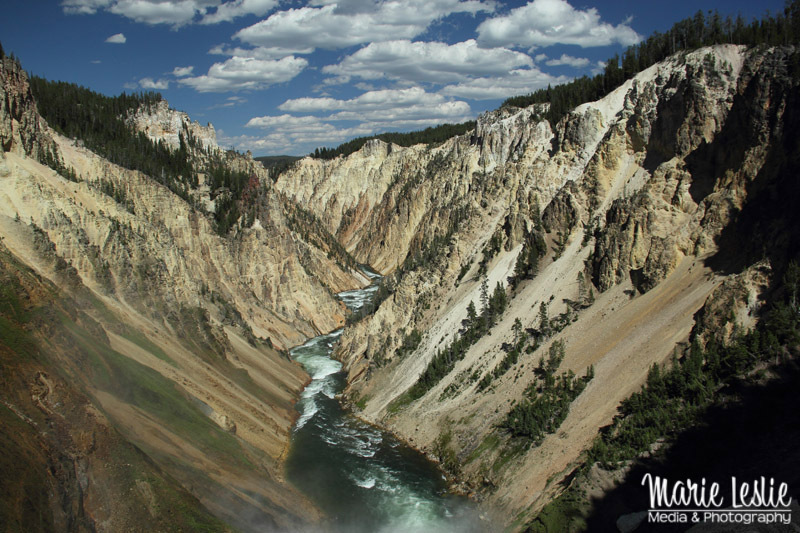 While photographic wisdom says you make the best photographs at dawn and dusk, Yellowstone Canyon is breathtaking at any time of day. 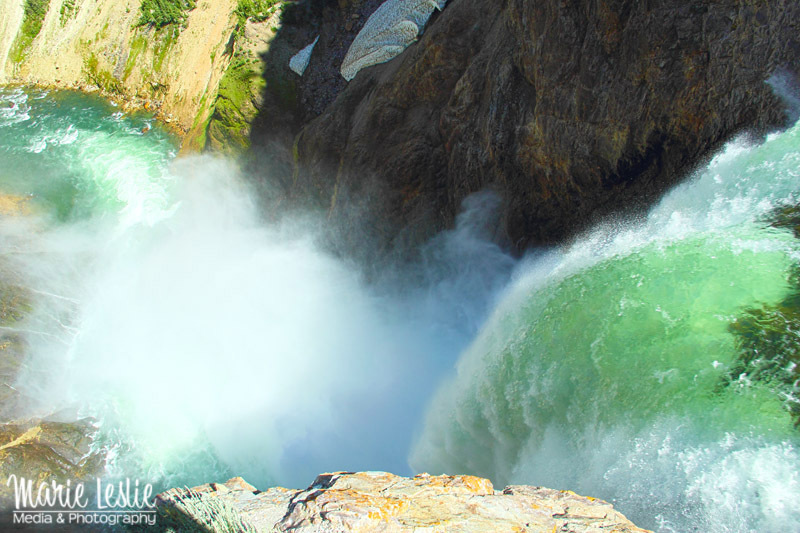 It is an amazing thing to stand at the brink of falls and not only see the rushing river, but feel the thunder of the falls. Watching the falls plunge 308 feet to the canyon floor produces butterflies in my stomach. But I could stand and watch the mesmerizing water all day. After hiking to the brink of the falls, we took the road around to the other side and hiked from Artists Point to Uncle Tom’s Trail. 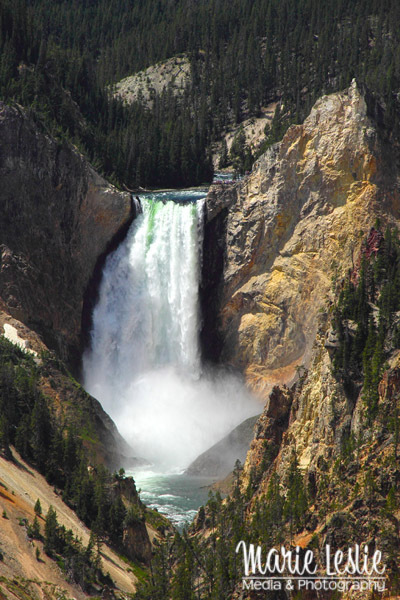 To give you a sense of scale, you can see the “Brink of the Lower Falls” viewpoint at the right side of the falls. Yes, those are people–lots of people. 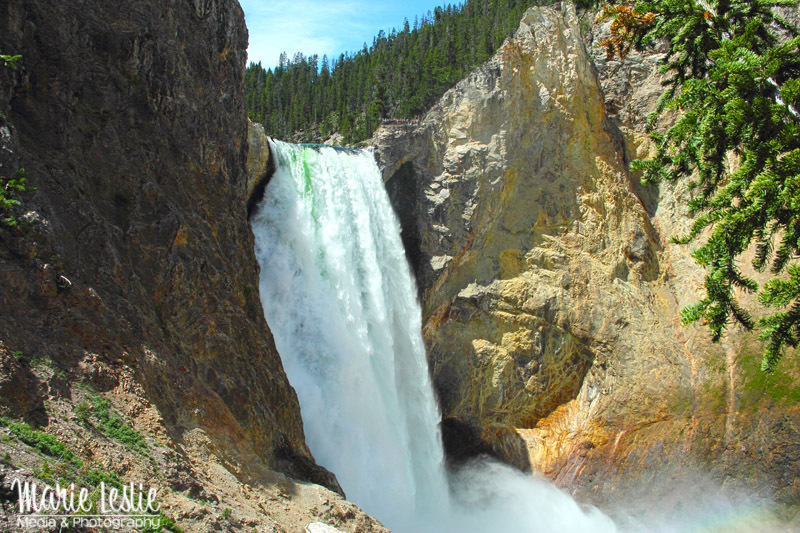 The falls just keep getting more spectacular as you first hike along the trail and then begin the descent down the 328 steps to the lower viewpoint. After hiking down them, and then back up, I am just thankful that we no longer have to use the original 528 steps and rope ladders to access this view. And finally, we reached the viewing platform about 3/4 of the way down the canyon. It was definitely worth the hike. 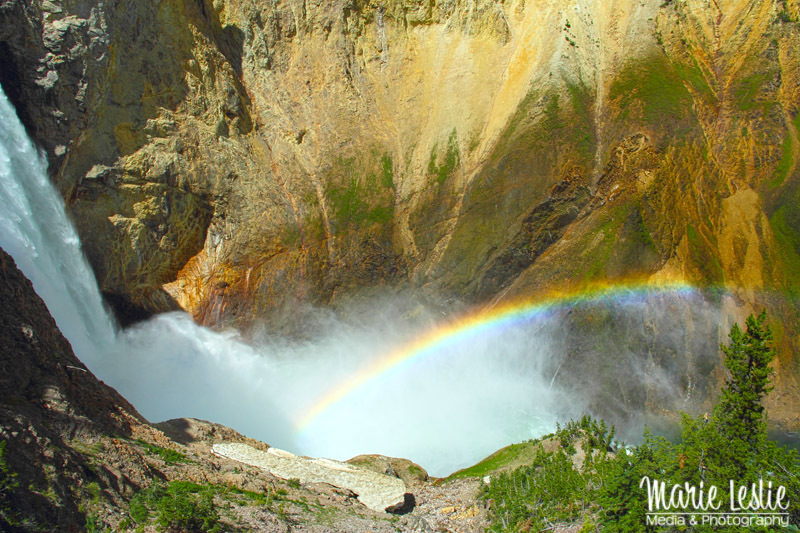 We were even rewarded with a beautiful rainbow, along with the much-appreciated cooling mist of the falls. 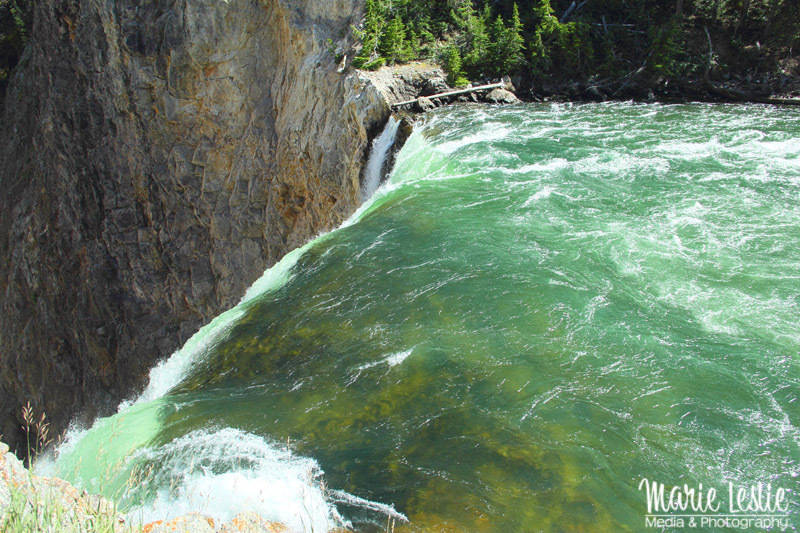 Our last view of the lower falls was from Lookout Point. The canyon is even more spectacular looking back in this direction. I am already planning my next visit–and this one won’t be 15 years.